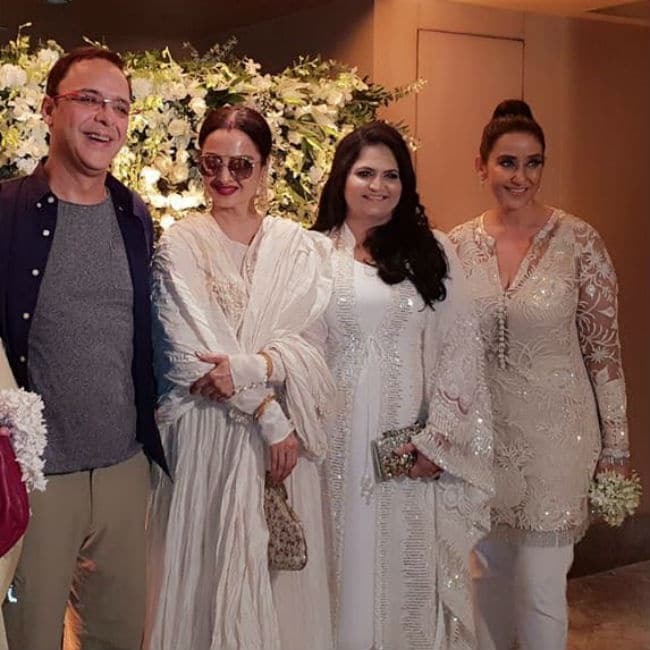 Sanjuactress Manisha Koirala invited her colleagues Rekha, Shah Rukh Khan, filmmakers Vidhu Vinod Chopra and Sanjay Leela Bhansali, fashion designer Manish Malhotra, Maanyata (Sanjay Dutt's wife) and other celebrities to her birthday party, hosted at a Mumbai hotel on Thursday night. The theme of the party appeared to be white. Manisha and her guests wore different shades of white. 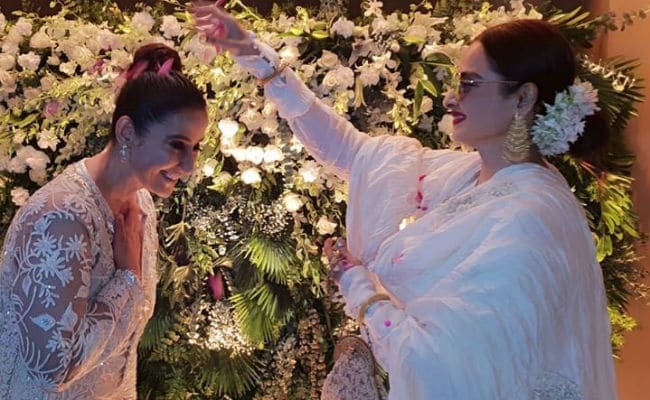 The actress, who turned 48 on August 16, wore a lovely white-embroidered kurti and trouser set and neatly tied her hair in a high bun. Rekha opted for a white anarkali set to the party and teamed her look with a pair of trendy shades. The two actresses had co-starred in 2001 film Lajja. 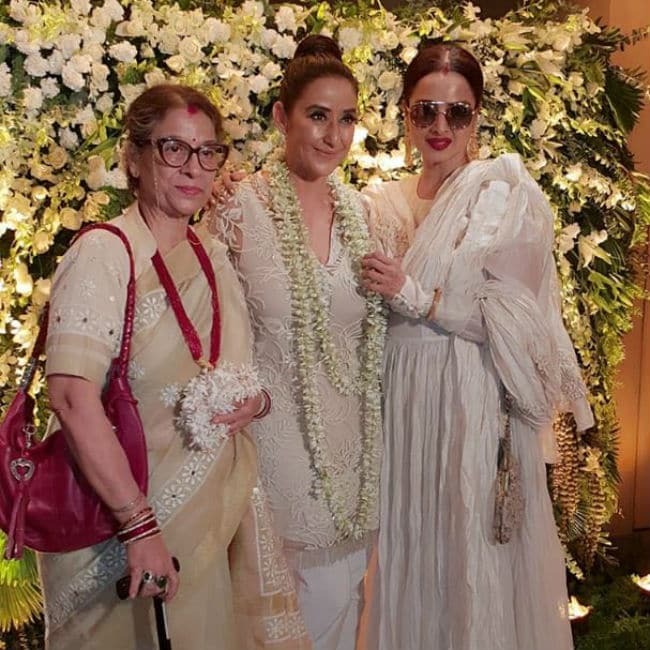 Manisha Koirala's parents had also accompanied her to the party. Happiness," Manisha Koirala captioned her picture with Shah Rukh Khan, with whom she co-starred in Guddu and Dil Se. Maanyata Dutt opted for an all-black outfit for the party. The duo posed cheerfully for the cameras. Manisha Koirala played Nargis Dutt in Sanju, which was a biopic on actor Sanjay Dutt. Sanam, Kartoos, Khauff and Baaghi are some of her films with Sanjay Dutt. A four-tier birthday cake was ordered for Manisha. In the pictures shared by her on Instagram, we can see SRK feeding a piece of cake to Manisha. 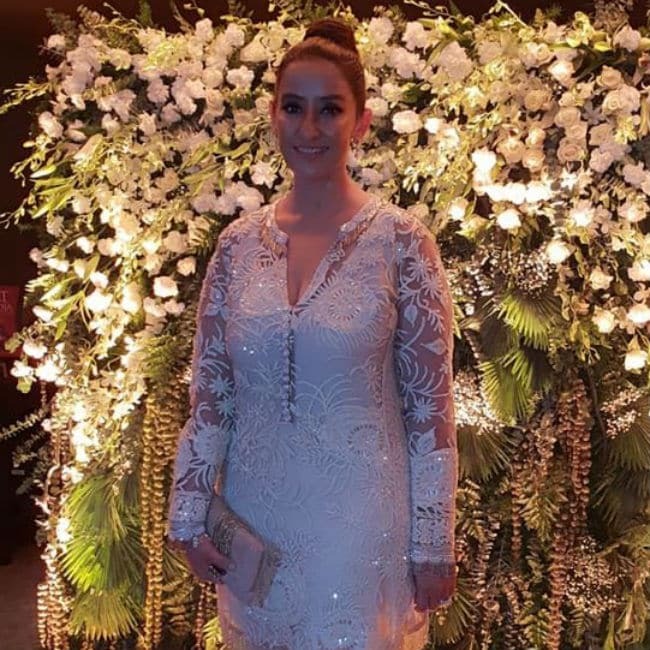 Inside Manisha Koirala's star-studded birthday party. Govinda's family - wife Sunita and children Tina and Harshvardhan were also there. Loved having my close buddies ..
Manisha Koirala was last seen in Sanju, headlined by Ranbir Kapoor. Sanju performed extremely well at the box office. She was also a part of Netflix's Lust Stories where she featured in the Dibaker Banerjee-directed portion.